KIEV, Ukraine - Karina Zhyronkina (21, 1.78m, Kharkiv) was crowned Miss Ukraine 2012 (Мисс Украина 2012) at the National Opera House of Ukraine in Kiev. She will represent Ukraine in Miss World 2012 in Ordos, Inner Mongolia on August 18. 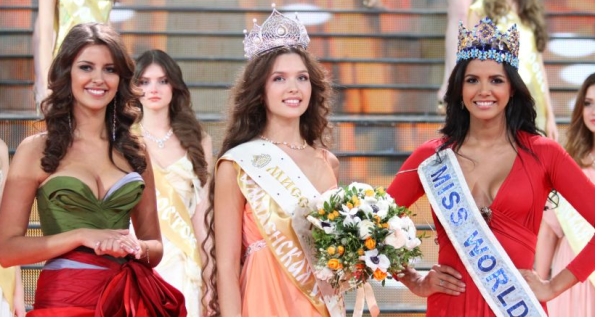 Olga Rubanova was the first runner-up and Margaryta Ivashchenko was the second runner-up. PANAMA CITY, Panama - Stephanie Vander Werf (25, 1.78m, Panama City) was crowned Miss Panamá Universo 2012 at the conclusion of the Miss Panamá 2012 pageant. She will represent Panama in Miss Universe 2012 next December. Maricely González Pomares (22, 1.73m, Panama City) was crowned Miss Panamá Mundo 2012 at the same event held at the Riu Plaza Panamá Hotel in Panama City. She will represent Panama in Miss World 2012 in Ordos, Inner Mongolia on August 18. Karen Elena Jordán Beitia (23, 1.75m, David) received the Miss Panamá Internacional 2012 title and will represent Panama in Miss International 2012 later this year. MUMBAI, India - Vanya Mishra (19, 1.71m, Jalandar) was crowned Pantaloons Femina Miss India 2012 in Mumbai. She will represent India in Miss World 2012 in Ordos, Inner Mongolia on August 18. Prachi Mishra and Rochelle Maria Rao finished second and third, respectively. Rochelle Maria Rao will represent India in Miss International 2012 later this year. Sana Khan and Ipsita Pati completed the Top Five. The pageant featured the current Miss World, Ivian Sarcos Colmenares, as a special guest. Miss Bonaire 2012 will be crowned in Kralendijk. 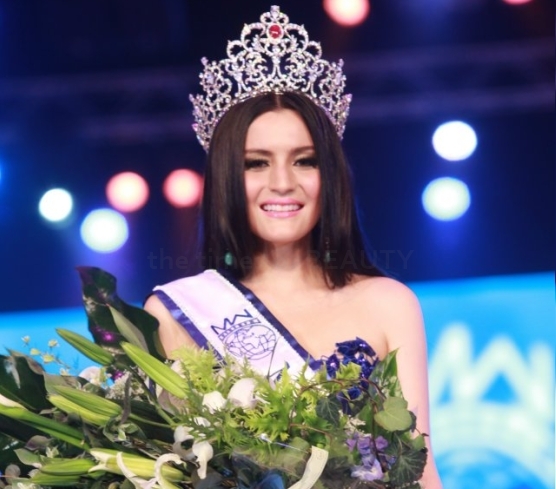 The winner will represent Bonaire in Miss World 2012 in Ordos, Inner Mongolia on August 18. The pageant was originally scheduled for April 21 but it was moved to a later date. The Department of Beauty and Models of «Interalliance KG» is very glad to announce that the finals of Miss Kyrgyzstan 2012 will be held on May 19. The winner will receive a cash prize and the opportunity to represent Kyrgyzstan in Miss World 2012 in Ordos, Inner Mongolia on August 18. Castings will take place on March 25, April 1, April 8, April 15 and April 22. Producer Vera Grabocka in collaboration with photographer Fadil Berisha will organize the Miss dhe Mister Albania 2012 pageant. Auditions are taking place throughout the country to select the contestants for this year's pageant. The national finals date will be announced soon. As customary, Miss Albania 2012 will compete in Miss World 2013. Miss Universe Albania 2012 will compete in Miss Universe 2012 next December. HEREDIA, Costa Rica - Silvana Sánchez Jiménez (22, 1.80m, Palmares) was crowned Miss World Costa Rica 2012 at the Comí Restaurant in Heredia. She will represent Costa Rica in Miss World 2012 in Ordos, Inner Mongolia on August 18. Mariam Natasha Sibaja Bermúdez (20, 1.68m, Perez Zeledon) finished in second place and was crowned Miss International Costa Rica 2012 and will go to Miss International 2012 later this year. Fabiana Granados Herrera finished in third place. Nine contestants competed in the national pageant organized by Allan Alemán, president of Reinas de Costa Rica. The search is on for Miss World Denmark 2012! The Danish finals for Miss World 2012 will be held at the Kokkedal Castle in Hørsholm. 20 finalists will compete for Denmark's most prestigious beauty title: Miss World Denmark 2012. 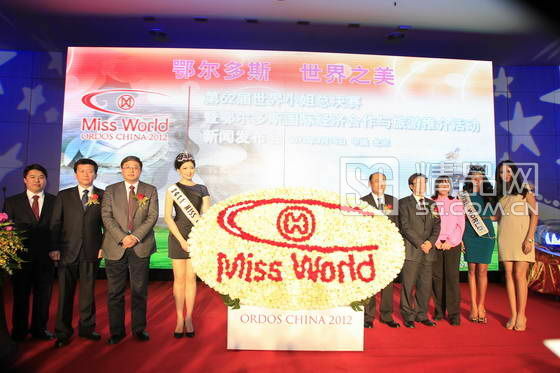 The winner will get the chance to represent Denmark in Miss World 2012 in Ordos, Inner Mongolia on August 18. The pageant will feature an exclusive red carpet event with special guests, a charity auction, a fashion show and entertainment. The 20 finalists will compete in casual wear, sports wear, bikini and evening gown. Reigning Miss World Denmark 2011, Maya Celeste Padillo Olesen, will crown her successor on May 18. The pageant is organized by Lisa Lents, director of the Miss and Mister of Denmark Organization. MANAGUA, Nicaragua - Farah Eslaquit Cano (20, 1.75m, La Concepcion) was crowned Miss Nicaragua 2012 at the Rubén Darío National Theater in Managua. She will represent Nicaragua in Miss Universe 2012 next December. 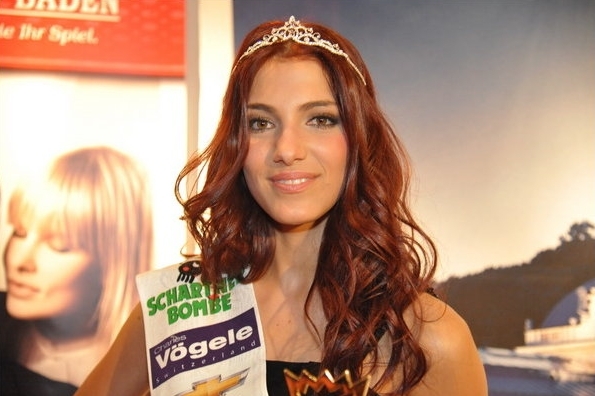 The first runner-up was Keykoll Montalván and the second runner-up was Reyna Pérez Núñez. Montalván will compete in Miss International 2012 later this year. 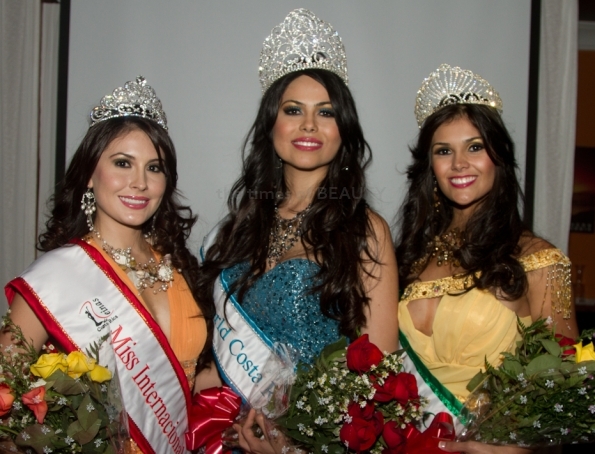 Violeta Majano Gutierrez and Claudia Cuadra Cardenal completed the Top Five. Twelve contestants competed for the national title. 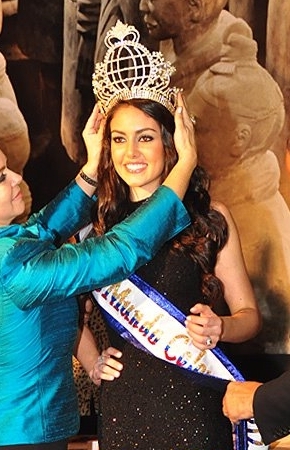 Bárbara Turbay Ridao (19, Bogota) was appointed as the new Miss Mundo Colombia 2012. She will represent Colombia in Miss World 2012 in Ordos, Inner Mongolia on August 18. 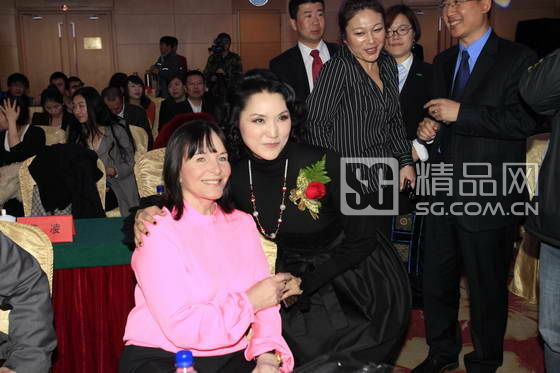 A casting call was held to the nation's representative for Miss World 2012. Miss Mundo Colombia will take place later this year and the winner will compete in Miss World 2013. Inna Mariam Patty, CEO of Exclusive Events Ghana and former Miss Ghana 2005, announced that the search for Miss Ghana 2012 has begun. The organizing committee will scout for contestants at Ghana's different regions until April 30. 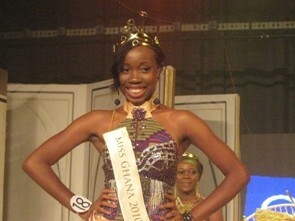 Finals are expected to take place on May and the winner will represent Ghana in Miss World 2012. LA LIBERTAD, Ecuador - Carolina Aguirre Pérez (19, 1.76m, Guayaquil) was crowned Miss Ecuador 2012 at the Club Puerto Lucía in La Libertad. She will represent Ecuador in Miss Universe 2012 next December. Cipriana Correia Macias (19, 1.75m, Esmeraldas) finished in second place and was crowned Miss Ecuador Mundo 2012 during the same event. She will represent Ecuador in Miss World 2012 in Ordos, Inner Mongolia on August 18. Tatiana Loor Hidalgo (21, 1.70m, Santo Domingo) finished in third place and received the Miss Ecuador Internacional 2012 title and will go to Miss International 2012 later this year. 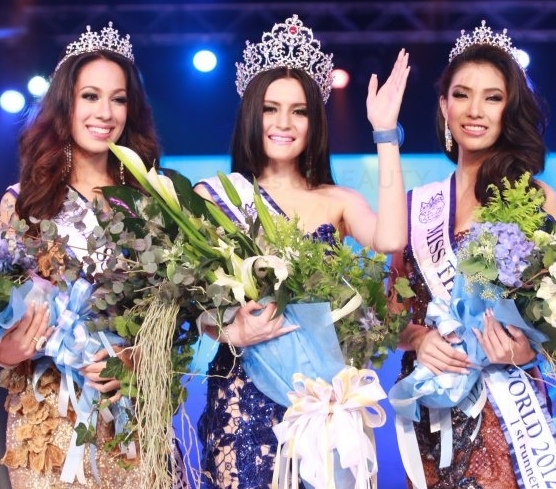 Sulay Castillo Velasco, Tatiana Chele Villafuerte and Nicole Cevallos Correa completed the Top Six finalists. The 62nd Miss World pageant saw its official launch at the Media Center Hotel in Beijing with the attendance of Julia Morley, president and CEO of Miss World Ltd; Ivian Lunasol Sarcos Colmenares, Miss World 2012; Zilin Zhang, Miss World 2007; and Liu Chen, Miss China 2011. 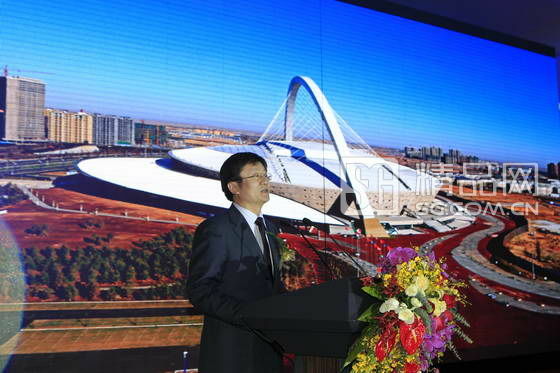 The Dongsheng National Fitness Center Stadium with a capacity of 50,000 spectators will serve as the venue of Miss World 2012 on August 18 in Ordos, Inner Mongolia, People's Republic of China. The pageant will feature 130 representatives from all over the world. VIZELA, Portugal - Melanie Vicente (21, 1.70m, Torres Vedras) was presented as the new Miss República Portuguesa Mundo 2012 at the Eskada Club in Vizela. The selection was made through a casting call due to the shift of dates of the Miss World pageant. She will represent Portugal in Miss World 2012 in Ordos, Inner Mongolia on August 18. The presentation featured a Spring/Summer 2012 fashion show commemorating the 25th anniversary of the Eureka brand. Special thanks to Isidro de Brito, national director of Miss World in Portugal! Te'evā Matāfai Tagaloa-Leniu is the new license holder of Miss World in Samoa. She will be organizing the inaugural Miss World Samoa pageant in the coming months for Miss World 2013. Her pageant experience includes organizing the Miss Samoa New Zealand pageant for the past years. Samoa returns to Miss World after a 25 year hiatus. 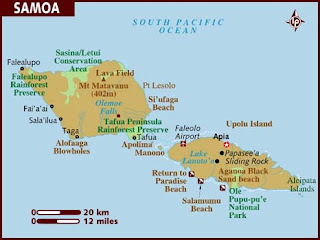 Samoa along with American Samoa are part of the Samoan Islands located in Oceania and surrounded by the South Pacific Ocean. Samoa became independent from New Zealand in 1962. 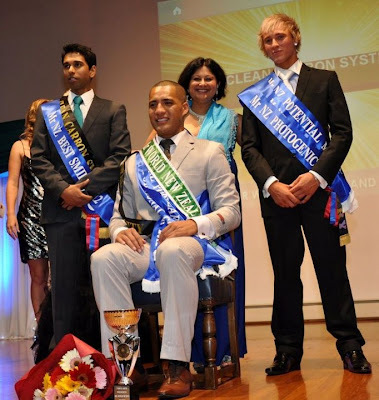 Courtenay Bernard won the Mister World New Zealand 2012 title in Auckland. He will represent New Zealand at the next edition of Mister World. Kristian Bray and Rex Braganza finished second and third, respectively. MOSCOW, Russia - Elizaveta Golovanova (18, 1.78m, Smolensk) was crowned Miss Russia 2012 (Мисс Россия 2012) at the Barvikha Luxury Village Concert Hall in Moscow. She will represent Russia in Miss World 2012 in Ordos, Inner Mongolia on August 18 and in Miss Universe 2012 on December. Kristina Gontar was the first runner-up and Alena Shiskova was the second runner-up. The event featured the current Miss World, Venezuela's Ivian Lunasol Sarcos Colmenares, as one of the judges. Rodrigo Fernandini won the Mister Perú 2012 title at the Parque de la Amistad Auditorium in Surco. 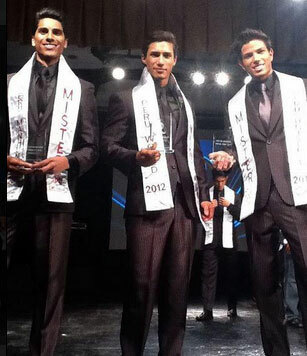 He will represent Peru at the next edition of Mister World. The runners-up were Bruno Vega and Danny Peña.